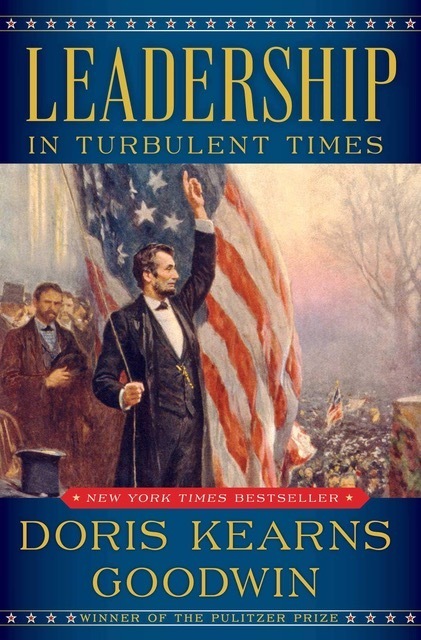 In “Leadership: In Turbulent Times,” Pulitzer Prize-winning author Doris Kearns Goodwin demonstrates how leaders are made, not born, as she thoughtfully explores the highs and lows of four U.S. presidents who faced moments of horrific national crisis. Written in the companionable prose that makes Goodwin’s books surefire best sellers, “Leadership: In Turbulent Times” recounts the lives of Abraham Lincoln, Theodore Roosevelt, Franklin Roosevelt and Lyndon Johnson. Goodwin has already produced full-length studies of each of these men, but here she explicitly takes up the formation of her subjects’ characters and how their most notable qualities equipped them to lead the country during trying times. Goodwin sets the stage as each future president discovers within himself the desire to enter politics, the calamitous blows that knocked each one down, and how they tackled the struggles that tore at the sinews of the country. While reviewers have mostly praise the book, the main criticism of “Leadership: In Turbulent Times” is the outlining of specific qualities, such as "Take the measure of the man" and "Set a deadline and drive full-bore to meet it," that are meant to distill leadership wisdom into bullet points. Despite the overarching steeled-by-adversity template into which she wedges these stories, each retains its own intrinsic drama. Villager member Lorna Grenadier will lead the discussion. Open to Village members only.